Tacoma Fire Department was honored to be invited to 93 neighborhood gatherings throughout our response area for the 28th Annual National Night Out celebration. The event is designed to promote neighborhood spirit and heighten awareness to crime prevention efforts. Last year, an estimated 37 million people from 15,000 communities participated in the event nationally. We appreciated meeting those of you committed to making our community safer and such a great place to live. 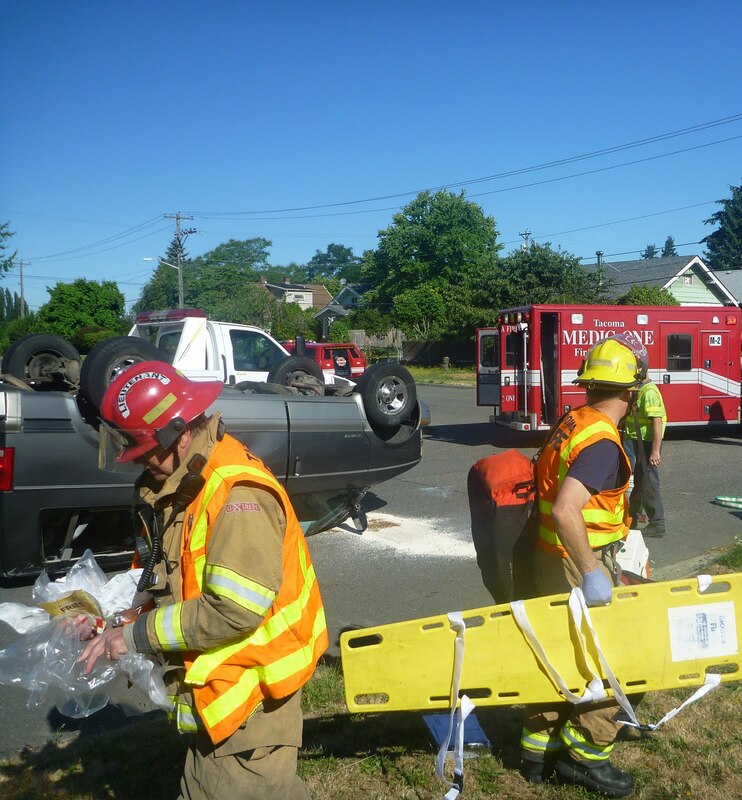 Narrative: At 8:52 a.m. Tacoma Firefighters were dispatched to a reported two car motor vehicle accident with a rollover. The first arriving companies to the scene of the collision found a van flipped over and setting on its top. 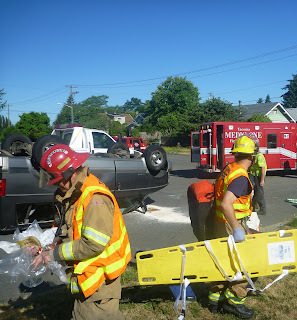 Paramedics assessed, treated and transported 3 patients from the scene to local area hospitals.